Let us stop using the traditional programming languages compiler and runner softwares and make use of your internet connection to compile your coding on the fly on internet within your browser. Yeah! You heard it right, you don't need any traditional compiling software to install on your computer to run your coding. There are lots of web-based applications that let you compile and run the codes without having a software to be installed on your computer. 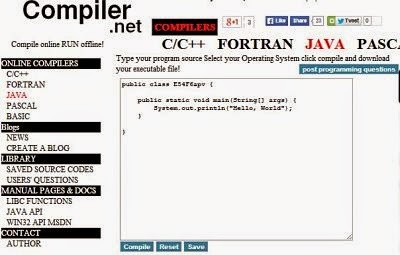 Free online compilers let you compile your coding directly on their website for free. I think these tools becomes in handy and very useful for those who don't use compiling software most of times (but fewer times a week or month). I personally would recommend the web-tools for such type of work to reduce the time and space consumptions. Just like these web-apps, we "Tech Web World" always recommend & gives some useful internet tools to minimize the user consumption that they're taking to work on their computer, and surely our users appreciating our stuffs. Below are few examples that we already listed on our blog. Here in this post we will be sharing the collection of the best and free java compilers that will compile and run your java coding within your browser. After making a research we found the below tools useful & right for the required task. So let have a look. Let have a look at our today's collection of the tools that what actually we're talking about from the top of the page. Now let the pages refreshes, you will see the result on your screen. 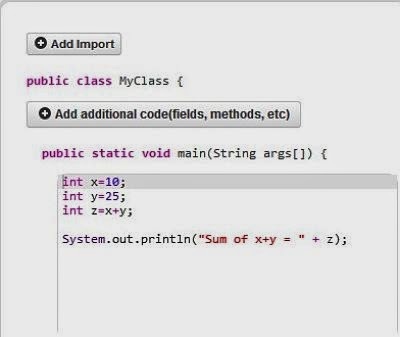 Codiva.io online java compiler and IDE is super fast and easy to use. Being used by a number of schools and online courses across the globe. Codiva editor has nice syntax highlighting and autocomplete. 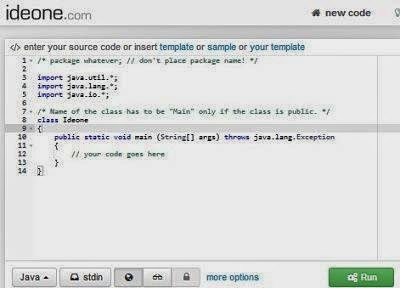 One another best web-app which can be employed for free to execute & interpret the java source code online. Execution of a java code using this tool is very easy and fast , Here at CompileOnline, you will be provided a text box along the execution box at the right side where you can see the executed source code after entering the code at the box and clicking on the "compile and execute" button just at the top of the text box. It also gives you an option to download your work as a file, as you can see the "download file" button at the top of the right box. Jdoodle is a perfect match for those who are looking for an online java compiler because it compiles your java codes within your browser, alongside, you can download the source code as java file or save to your computer as another form. It also gives few more options for the registered users i.e print, Save, your files etc. One another tool look pretty much useful and need to be in our list of recommended java compiler tool online. This is a simple-to-use tool, what you've to do is to enter your program source, Select your Operating System click compile and download your executable file! Javalaunch enables us to compile and run the programming code within the browser without installation of any software or extension etc. 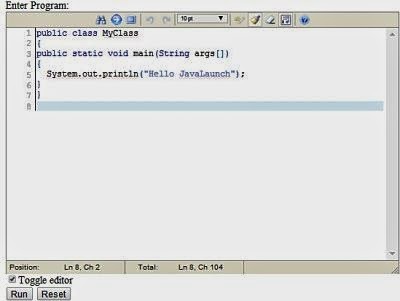 Your task can be done there just in few seconds within the javalauch java editor and compiler, because here you've to enter the source code and click on "Run" to interpret the entered source code. So, above we shared the collection of web-tools that has the ability of compiling and running your programming codes online for free. We tried our best to collect the right and straight-to-the-point tools and include in our list. Hope you liked this post and was helpful for you, if you think it helpful for others then please do share this link on your social profiles. Your comments on this post are highly appreciated!